The UK economy badly needs engineering businesses to engage with young people to promote jobs in this sector. Many companies are already doing this, and manufacturing supporters such as MPs need to get up to speed with what’s happening. Will Stirling visits Get up to Speed (GUTS) in Sheffield to see how employers connect with children in Yorkshire. Seven years ago I visited The Blue Shed on Brightside Lane in Sheffield to see an engineering outreach event for school children in South Yorkshire. Inside (literally a big shed) it was dark, there were maybe 20 exhibitors, an odd-looking speedboat as the centrepiece exhibit and several groups of school kids milling about. The organisers were enthusiastic and there was a fair bit to see but it was missing something and frankly needed work to capture children’s imagination. Fast forward to 2018 and step into “Get up to Speed” at the Magna Science Centre in Rotherham (18 April), and you will see a Formula 1 car, McLaren 570S Spider, a biplane, The British Army with Foxhound armoured car and military kit, a Porsche 997 Cabriolet and James Dean’s replica Porsche, CNC machining, a Theatre of Engineering run by University of Sheffield students, make your own mechanical seal display and even the dark lord himself, Darth Vader complete with evil Empire troops. 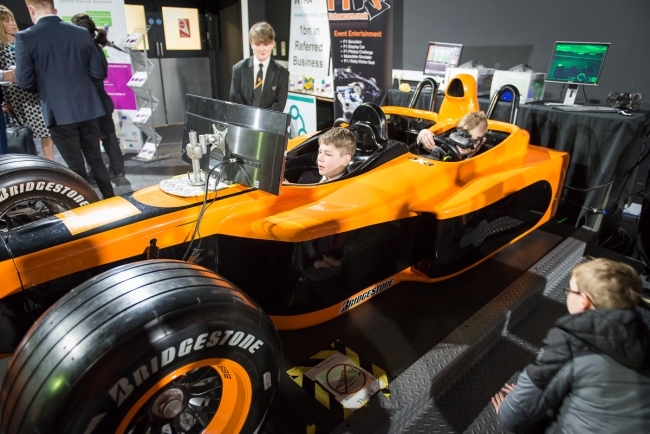 Get up to Speed with STEM, aka the memorable “GUTS”, is the leading event in Yorkshire and the Humber linking school children to jobs in engineering and manufacturing, possibly the biggest in the North of England. 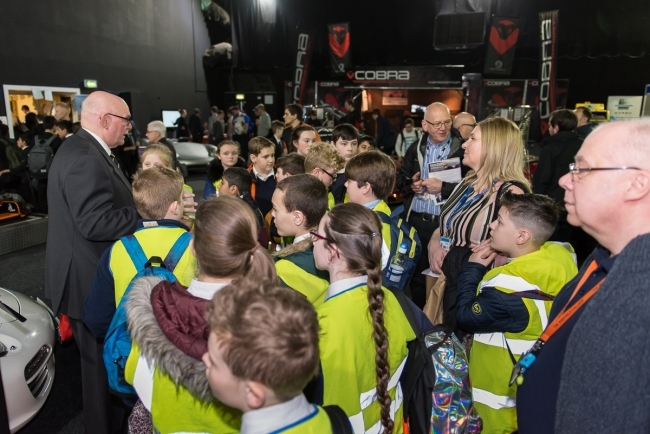 In 2011 it had about 500 exhibitors and visitors combined, this year over 2,300 visitors – mainly schoolchildren – attended of 2,500 who registered from 48 schools, up 20 per cent on 40 schools in 2017. Schools come from beyond Yorkshire, and schools from anywhere in the UK are welcome. Scarborough Engineering Week, 90 miles away, is another great education outreach event but GUTS pips it on numbers. Here, kids can machine metal, build a Bailey bridge, sit in a McLaren Spider, drive a Formula 1 simulator, spin on the Santander bike display, wear an Occulus Rift VR headset, assemble a complex mechanical seal and learn about what these components do in industry, and many other press, push, question and answer engagements. GUTS is humming with local companies and the VIP lunch was heaving with businesses from across the county – consider AESSEAL, Doncasters, Henry Boot Construction, Liberty Steel, Macalloy, Naylors, Polypipe, Lloyds, Rolls-Royce, Santander and Wates. It had 78 exhibitors this year. Do the exhibitors get any ROI? “There is for some, for Liberty Steel GUTS is tied to their apprentice recruitment, and we’ll accommodate their recruitment cycle when we schedule GUTS next year,” says Barber. Some companies will find apprentices at the event. “For example Doncasters Bramah hired Josh Belk on an apprenticeship following his visit to GUTS in 2017,” John says. In another example, a teenager with Asperger’s syndrome who visited GUTS has since joined an engineering business in Chesterfield. Because he is focused, the company says he is one of their best employees. AESSEAL has employed at least two former youngsters who visited GUTS. GUTS hosts an awards programme, the Innovation Competition awards. 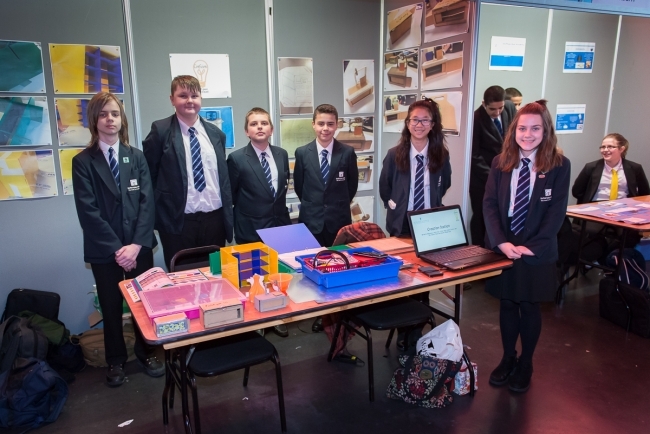 At the start of January, 11 companies set engineering-based challenges to 11 schools. Judges including Sheffield’s Master Cutler picked the winners and these were announced at GUTS. This helps give other students the desire to enter the competition and make something. But the No. 1 KPI is to get children inspired and enthused about engineering and manufacturing careers. Even if they sit in a sports car, it will make them think – why is this car here? The reason is because McLaren chose to locate its new composite monocoque factory next to Factory2050 nearby, moving production from Austria to the UK because of the skills the AMRC with Boeing – which recently graduated its 1,000 apprentice – has helped to produce in the county’s engineering talent pool. Today there are many education outreach events in the UK for engineering and manufacturing, which is very positive. They all have a common problem or challenge; how do you measure success? i.e. was your audience moved enough by the engagement to choose a job in this industry? Every family and exhibitor receives an event survey, and GUTS often gets 50 or more responses. The work-wise foundation, that gives young people more access to placements at jobs in industry, tries to track the outcomes of visits but its difficult. It visits primary schools locally. “You are planting a seed,” says Barber. “Young kids have come there thinking engineering is being a car mechanic.” Workwise went into one school in a disadvantaged part of Sheffield, and at first the children could only tell them about four jobs; doctor, nurse, policeman and taxi driver. “We’ve returned and now you ask them what jobs there are, they want to be a scientist, an engineer, they say I want to build aircraft. We have already broadened those horizons at an early age,” Barber adds. But it shows the difficulty that these events, that swallow thousands of person-hours in organisation and planning, have in recording hard outcomes. 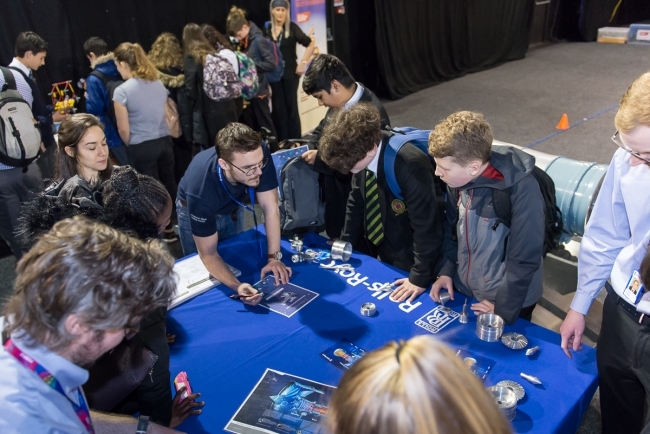 Yesterday, the Big Bang Fair, the national event for young scientists and engineers run by EngineeringUK, announced 80,000 school children visited the show in 2018. 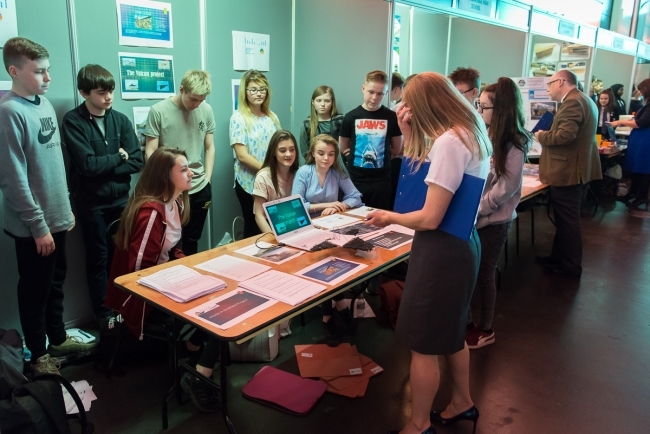 Scarborough Engineering Week is also in its 8th year, Festomane in Gloucestershire is doing well, the Made Here Now website is growing, and we have Tomorrow’s Engineers, STEMNet, the MTA’s TDI Challenge and several other programmes. On Monday 23rd April at an event on the Industrial Strategy hosted by the All Party Parliamentary Manufacturing Group, two pro-manufacturing MPs were guilty of repeating the same old platitudes on this key subject. Parliamentarians tirelessly say: “We must connect school children to engineering; We need more girls in engineering jobs; Businesses must engage with schools and children more”. No sh*t. Open your eyes – this is happening now, up and down the country, with many effective activities. A better approach that would better reflect their public station is to learn where business is doing this work, right across Britain, engage with those organisers, communicate this work in parliament, find ways to support them – yes, financially too – and build on the existing work. Stop saying this is what we have to do, but engage with what is happening now and communicate that. Then by all means say the easy bit – “We need to do more”.